There’s a good reason I talk about vitamin D so often. It’s because new research emerges every day showing this critical compound can save your life—if you’re getting enough of it. In fact, there were a slew of studies published in the first few months of 2014 alone. So I’d like to take some time to share them with you. And to tell you how much D you need to be taking to get—and stay—healthy. A team of New York researchers compared cognitive function among 253 very elderly subjects—ranging from 95 to 109 years old—to 2,451 National Health and Nutrition Examination Survey (NHANES III) participants over the age of 70. These results suggest that longer-lived people have higher levels of the sunshine vitamin on average—and better cognitive function well past the age of 90 because of it. So when I tell you that getting enough vitamin D can save your life, I mean it—literally. And speaking of vitamin D levels… A level of 30—like the one considered “high” by the researchers in the breast cancer study above—might be sufficient. But it’s certainly not optimal. You want to aim for closer to 80 ng/ml instead. Unfortunately, most people don’t have levels that high right out of the gate. That’s why I make vitamin D status a top priority at my office. I regularly test every single one of my patients to assess their blood levels. And I almost always prescribe a daily supplement. To effectively restore healthy D levels, I generally prescribe 10,000 IU of vitamin D3 on a daily basis to my patients. And a lot of times, they’re shocked (and a little nervous) to take a dosage this high. But as long as your blood levels are screened regularly, there’s no reason to take any less. I take 10,000 IU every day myself. And I feel better than ever. After following this protocol for a few weeks, my patients say the same. Frankly, this dose might be “high”—but it’s the amount many people need to keep their blood levels between 80 and 100. Of course, you may be wondering if the arrival of summer—and more sunshine—means you can reduce or even eliminate your vitamin D supplement. Well, it depends. As I’ve mentioned many times before, sunshine is an effective way to boost your vitamin D levels. (The best way, actually.) But this strategy comes with some critical caveats. You can supplement with lower doses of D during the summer IF you get full mid-day sun exposure over most of your body. Without sunscreen. For 20 minutes per day. Every day. But in order to eliminate it altogether, you’d also have to live in South Florida or the very Southern part of Texas. 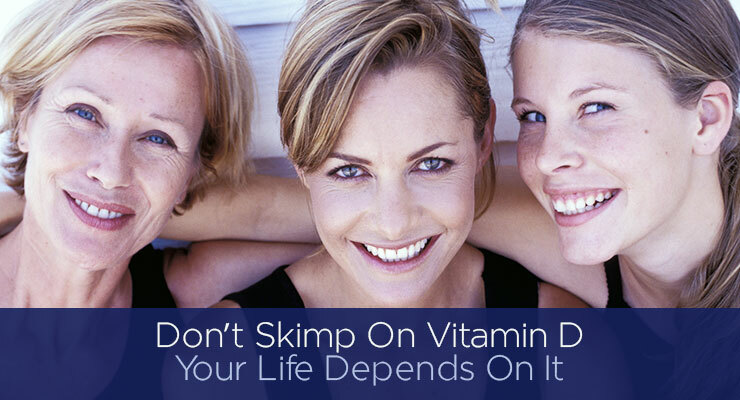 If you don’t, you absolutely must take your vitamin D. Every day of the year. My minimum recommendations are 2,000 to 5,000 IU of D3, regardless of the season. And if you don’t get outside much thanks to long days at the office, you may still require 10,000 IU—even in the dog days of summer. You won’t know for sure until you get tested. So, once again, if you haven’t had your levels measured lately, ask your doctor to check them today. 3. “Meta-analysis of Vitamin D Sufficiency for Improving Survival of Patients with Breast Cancer.” Anticancer Res. 2014; 34(3): 1163-1,166. Fred Pescatore, MD, is a traditionally trained physician practicing nutritional medicine in Manhattan. He is the author of Logical Health Alternatives, a monthly print newsletter, as well as six books, including the New York Times best-seller, The Hamptons Diet and the number 1 best-selling children's health book, Feed Your Kids Well. 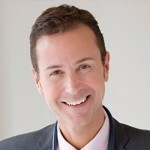 To learn more about Dr. Pescatore, visit www.drpescatore.com.